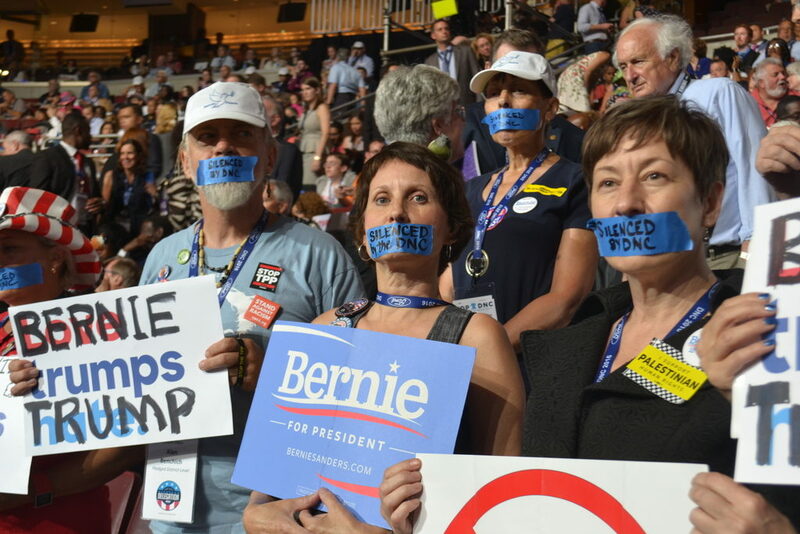 PHILADELPHIA – You might think that Bernie Sanders supporters decked in “Feel the Bern” and “Bernie or Bust” gear may have been the most perversely happy attendees at the first day of Democratic National Convention. However, granted the bitterly ironic theme “United Together” and riddled with open and ugly spats of party infighting, the first day of the DNC was most enjoyed by none other than Donald Trump. From physical infrastructure to party cohesion, the DNC could barely hold itself together. Convention attendees were crushed under Philadelphia’s muggy, triple digit temperature and within dangerously crowded halls of the Wells Fargo Center. Lines spilled across aisles, and impatient Clinton supporters clashed with Bernie or Busters. Donald Trump rightly received endless blame for conducting one of the messiest conventions in modern political history. For example, he and Paul Manafort led the crowd’s searing booing of Ted Cruz for no other reason than to bully Cruz – ruining the likely chance that the media would have otherwise focused on Cruz’s endorsement of the Wall and his lambasting of Clinton. The moment revealed Trump’s total and complete inability to stay on message and his utter susceptibility to petty grudges undermining his political strategy. In essence, Trump proved what we already knew: he’s incapable of acting like a president, only as a fascist bully when granted a large enough pulpit. 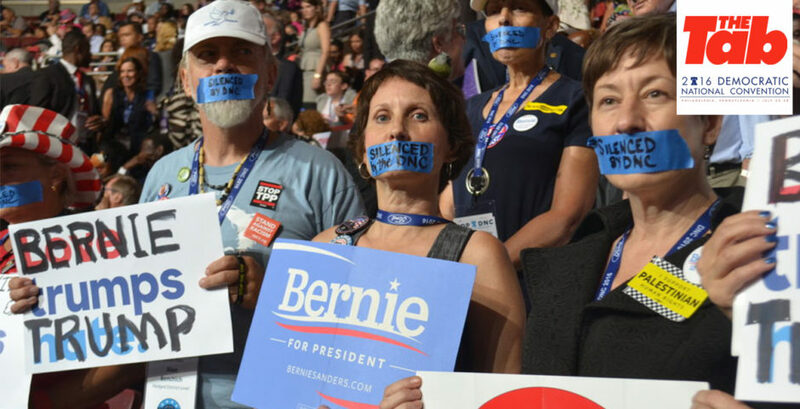 However, from Sunday night’s resignation of DNC Chair Debbie Wasserman Schultz, to Bernie supporters continued booing during speeches given by significant party figures, Hillary Clinton proved herself just as incapable of uniting the supposed still-intact party. None of this is assisted by Trump’s steep spike in the polls. Trump, who had been locked under 42 percent since May, surpassed Clinton in a five point lead in a CNN/ORC poll released earlier today. This is no temporary post-convention bounce. Trump effectively wiped away Clinton’s 11 point lead, making his best mark since September of last year. Perhaps this was because the media’s continual diagnosis that last week’s rhetoric was “too dark” and reactionary to liberal identity politics. But Monday reinforced that the Democratic Party will continue to double down on the most Trump-fueling, Bernie-incensing message it possibly can, one focused on Clinton’s gender and one which laughs in the face of the progressive movement and the very idea of a Democratic convention. Just one week ago, Wasserman Schultz mocked RNC Chair Reince Priebus’ seeming lack of control over his own party. Today, she no longer has one. One week ago, Clinton had a commanding lead over Trump, enabling her to pick a “safe” (read: dangerously vanilla) running mate, Tim Kaine, as a slap in the face to the entire Bernie coalition. Today, she trails Trump by five points. One week ago, Bernie supporters were mad, seriously considering voting third party in the case of a Trump v. Clinton general election. Today, thousands of Bernie or Busters were livid, marching down the streets during Clinton’s own coronation asserting that they will never, ever vote for her. So maybe Trump debate with facts or go a week without blatantly contradicting him. But at the very least, when he booed at Ted Cruz they booed with him. The DNC couldn’t even stop their own from booing at Elizabeth Warren. What will they do when finally faced with Hillary Clinton on Thursday?